If you're looking for the ideal wedding destination to get married then The Bahamas is your choice. As The Bahamas have everything to offer, from ideal year-round weather, breathtaking beaches with the clearest waters in the world, luxury resorts and boutique hotels with world class lavish amenities, and of course the incredible warmth of Bahamian hospitality. So if you are planning on getting married, here are, 7 simple steps to getting married in the Bahamas. Residency. You and your partner must be in the Bahamas at least 24 hours before apply for your marriage license. Prove Identity. You will need to prove that you are who you say you are. And you 3. can do this with an official passport issued by your country of residence or birth. Prove Eligibility. To get married in the Bahamas you must age 18 and either single, divorced or widowed and you must be able to prove your eligibility. Contract a Licensed Bahamas Marriage Officer. Once your marriage license has been approved then you need to contract the services of a Bahamas Marriage Officer. 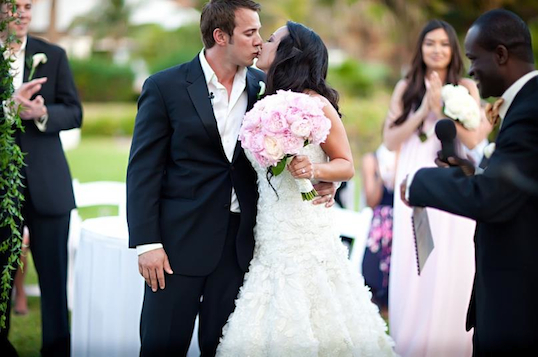 As all wedding in the Bahamas must be performed by a Bahamas licensed Marriage Officer. Get married within 90 days. Your Bahamas Marriage license is valid for 90 days so you must ensure that you are married within this time or you will have to reapply for another marriage license. There you have it, 7 simple steps to getting married in the Bahamas.